We are located in Kennesaw, Georgia and service all of metro Atlanta and the surrounding suburbs including Marietta, Smyrna, Roswell, Alpharetta, Decatur, Woodstock, Duluth, Sandy Springs, Milton, John’s Creek, Norcross, Dunwoody and College Park. Consumers are continually amazed at the amount of information that is available and how effective the cleaning procedures are. 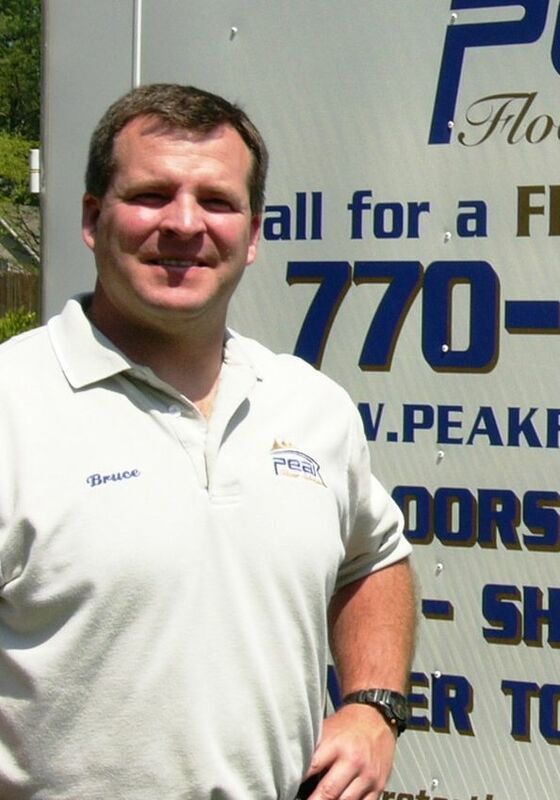 Due to the commitment of Bruce Zelt, owner of Peak Floor Solutions, and our incredible staff, Peak Floor Solutions is a dynamic leader in the cleaning, restoration, and maintenance of all hard surfaces. However, none of this would have been possible without our clients whom we value highly, so thank you for helping us make our dream a reality. Peak Floor Solutions is a licensed and insured contractor, we will gladly send our credentials upon request. Peak Floor Solutions is pleased to announce the addition of Decorative Concrete to our clients. Concrete overlays and staining are some of the most exciting and beautiful flooring options available to the homeowner today. Whether it is covering a formerly carpeted basement floor or a brand new slab, we use our superior training and attention to detail in bringing the project to a stunning finish. Peak Floor Solutions has trained with many manufacturers of cement products and preferred the quality and knowledge behind Elite Crete Systems. We are a factory trained installation company of Elite Crete Systems. This we do in addition to maintaining and restoring your natural stone surfaces, so that they look as beautiful as intended on the day of installation. We do not sell or install. We are dedicated solely to the restoration and preservation of concrete, ceramic and porcelain tile, marble, slate, saltillo, travertine, limestone, or terrazzo. Our technicians use the finest abrasives and craftsmanship to restore your surface to its best possible finish. We take pride in the quality of our craft and in being able to offer our customers the benefits of our experience in this highly specialized field along with service that is second to none. Our ultimate mission is based upon the principle of “education before any sale” and is one of the many things that separates us from the competition. Most companies in our industry do not invest in educating themselves in their field. The different training that we have participated in includes renowned instructors from across the country. Ask us about our continuing education! We strive to attend most of the applicable courses offered around the country. Our courses have taken us to Arizona, Pennsylvania, Georgia, North Carolina, Florida, and Nevada. We go where the training is the best that is available hands down! We also regularly attend educational courses, certification schools, conventions, and study trade journals and books related to our work. We are abreast of cutting edge technology and changes that regularly occur in our industry. Our mission is to provide you with the most outstanding service experience possible. We are committed to educating you on how to take the absolute best care of your floors and other surfaces. Quality service is not just a mantra … it’s our guarantee.